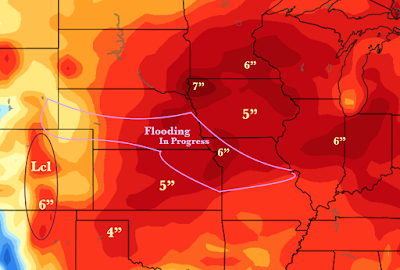 I've created the above graphic to illustrate where flooding is currently in progress along streams and rivers and generally how much rain I'm forecasting between now and June 20. Please consider amounts and locations approximate. Note the flooding threat extends a bit farther east than I originally thought. I will periodically update these outlooks.